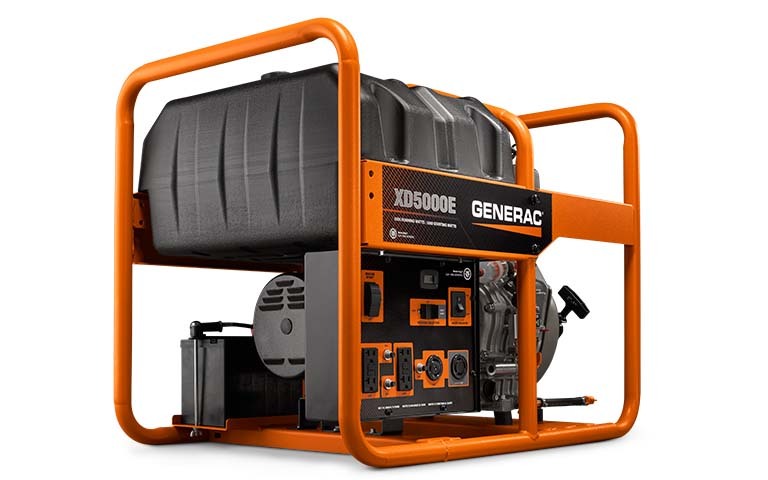 Rated 5 out of 5 by Blacktailmountainranch from Reliability Just finished a 10 state tour delivering HighMont Beef to the western states and the Generac XD-5000-E ran perfectly. We had it in a ventilated stock trailer and fuel consumption was minimal and performance was excellent. I do agree that noise level requires ear protection or a muffler but otherwise this generator did what I hoped it would. It ran four large freezers without fail. Thank you Generac! XD5000E is rated 5.0 out of 5 by 1.